Bird Watchers Clubs Camel Treks. 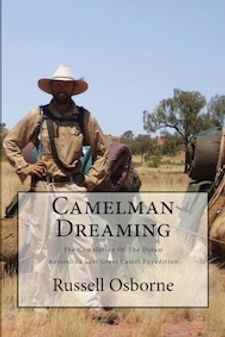 Australia's Last Great Camel Expedition. 13 years to plan and 2 years to walk across Australia with a herd of camels to say "thank you" to the 'Children First Foundation' charity. Outback Australian Camels is a perfect solution for your unique desert bird watching adventure. Trekking with a camel safari for the adventure of being able to spot your favourite and even rare birds in their wilderness surroundings is the best way to enjoy the pleasures and thrills of bird watching without any vehicles, tracks and the other reminders of our busy modern lives. At Outback Australian Camels, we venture deep into the wilderness without vehicle support, thus no need for travelling along tracks and the like. We go where the habitats are therefore the likelihood of spotting the birds of choice becomes greater. With more than 150 different bird species in the Flinders Ranges, the adventure of travelling via a camel expedition team to the isolated locations is a perfect way for your bird watching club to experience the beauty of the desert and to find your favourite desert and ranges bird species.